We are proud to announce that Boulevard Homeowners Association has selected Tinnelly Law Group as their associations’ legal counsel. 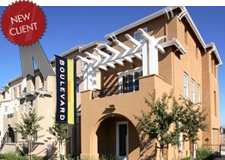 Located in Santa Clara, Boulevard is the latest collection of condominiums designed for Silicon Valley by Shea Homes. The Boulevard is conveniently located near Santa Clara’s thriving businesses, cultural centers and thoroughfares, and offers its own centrally located park. Our HOA attorneys and staff look forward to working with Boulevard’s Board and management.